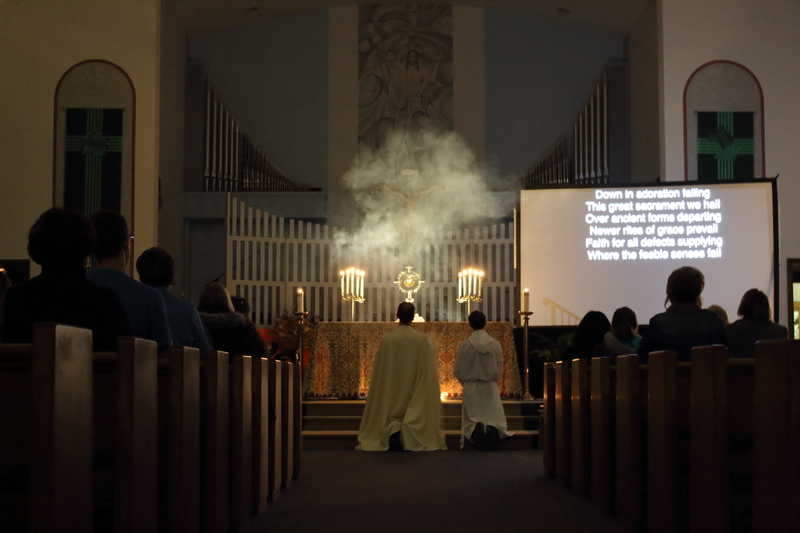 We were blessed with a beautiful evening of praise, worship, and adoration last Thursday! Fr. Jacob reminded us that when we only bring the negative things in our life to God, they become the focus of our prayer instead of our loving Lord. He invited us to take this time in front of the Blessed Sacrament to open our hearts in praise and to gaze on the beauty and love present in the Eucharist!